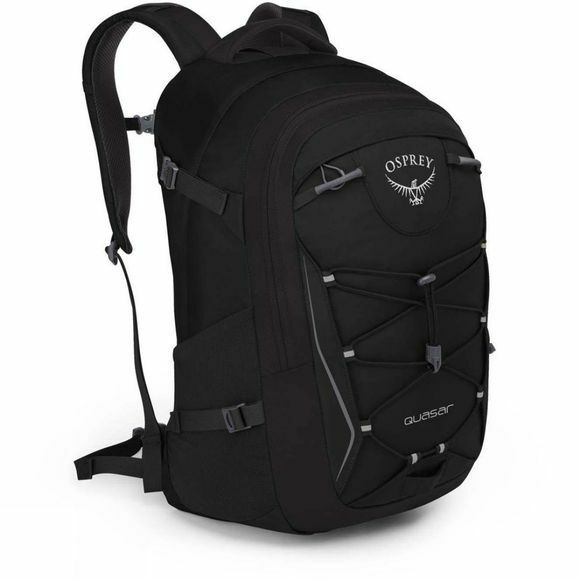 The Quasar 28 Rucksack is a city bag with true outdoor heritage, carrying a design degree passed down from decades of Osprey backpack experience. This quality and feature-driven daypack is versatile, durable and offers unrivalled levels of organization and carrying comfort. A padded laptop and tablet sleeve carries your electronics securely. Side compression straps and a removable webbing hipbelt ensure that your load is always under control. Keep your complicated mobile life in check, with a multitude of pockets, compartments and an integrated organiser. For those days when you need extra carrying space but your bag is full, you will appreciate the front stretch bungee that quickly stashes your jacket or bike helmet.